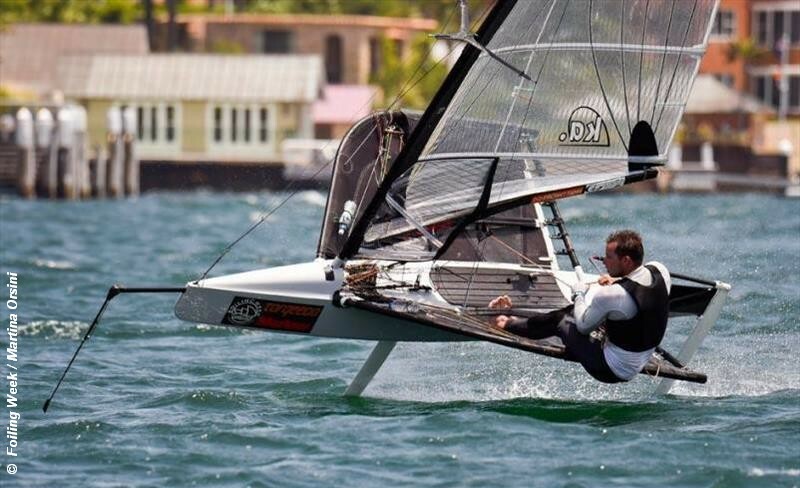 Josh McKnight dominated the Australian Moth Championships, held at the Royal Queensland Yacht Squadron over the past week. With the 2019 Moth Worlds due to take place in Australia at the end of the year, the Aussie Nationals attracted a strong fleet to Brisbane. Josh McKnight from the Manly Skiff Sailing Club took five wins and only dropped out of the top three in two of the 14 races. In second was Luka Damic from the St Geotges SC and in third place Andrew McDougall of the Black Rock SC. With the podium three sharing most of the races wins, only Keagan York in race 4, and Reece Tailby in race 11 managed to break their grip. Britain’s Rob Greenhalgh, who is now based at North Sails in Sydney, finished in sixth place overall. The 2019 International Moth Worlds will take place across country at the Mounts Bay SC on Perth’s Swan River from 9-18 December 2019.